If you are a long time Reader of our website, you know how we do our contests. We have a submission period of about 1 month and then we shortlist the submissions and share the 4 photos we prefer. After we have shared those 4 photos, we, the Streethunters.net Editors, vote between us which photo we prefer as the grand winner. 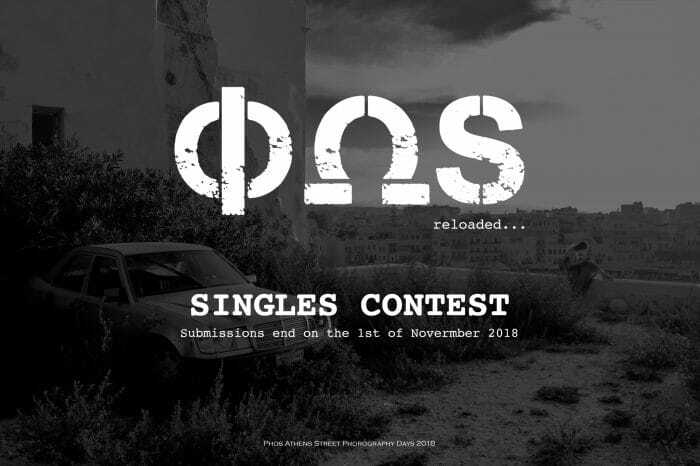 The winners will get featured on our website and our YouTube channel and will also have their winning shots displayed at the Phos Athens Street Photography festival 2018 in November. You can start sending photos from today! We will be accepting submissions until the 01/11/2018. The winners will be announced during the Phos Athens Street Photography festival grand opening party! Please send your photos to our gmail at streethunters.net@gmail.com. Only photos sent to that email with the title Phos Athens Competition will be accepted. We will not accept photos sent via txt, messenger, viber or whatever. We look forward to receiving your submissions! Wishing you all GOOD LUCK!